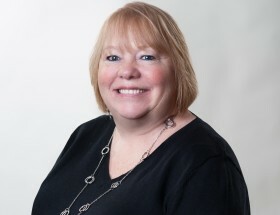 Janet has over 25 years of experience in the Medical Reimbursement arena. Her passion for maintaining and strengthening the unique culture at DK Pierce has led to her current role. She is responsible for the day-to-day management of DKP Corporate Culture, including maintaining the office’s necessities and the design, implementation, and management of innovative employee initiatives that attract, develop, engage, support, and retain a satisfied, high-performing staff. Janet received a Bachelor of Science degree from Indiana State University. 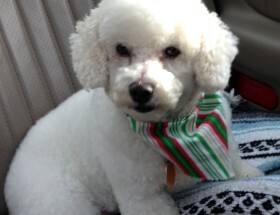 Mitchell is a thirteen-year-old Bichon Frisé rescue who has a human named Janet. Mitchell’s main responsibility at the DKP office is to monitor Janet’s whereabouts at all times, and he takes that role very seriously. Mitchell’s talents include eating, sleeping, guarding his food bowl, following Janet everywhere, and monitoring all snack-suspicious activity in the office.